The best experiences in life are often unplanned. 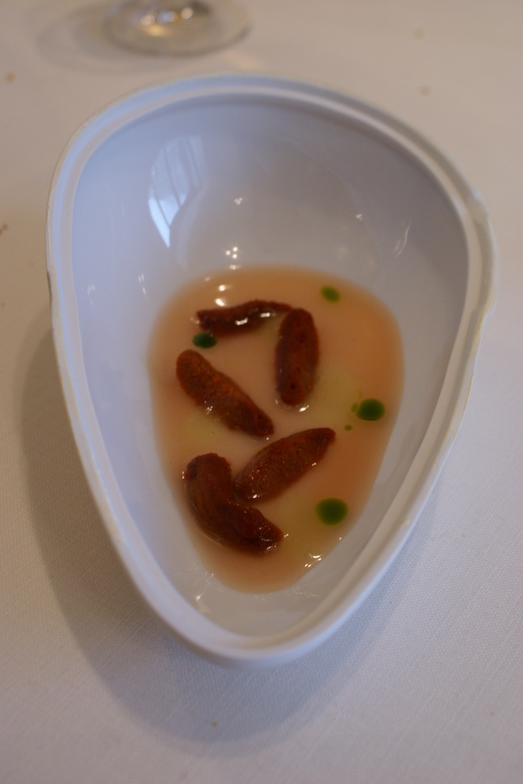 As was the case with my meal at Nerua, the Michelin-star establishment at the Guggenheim Museum in Bilbao. 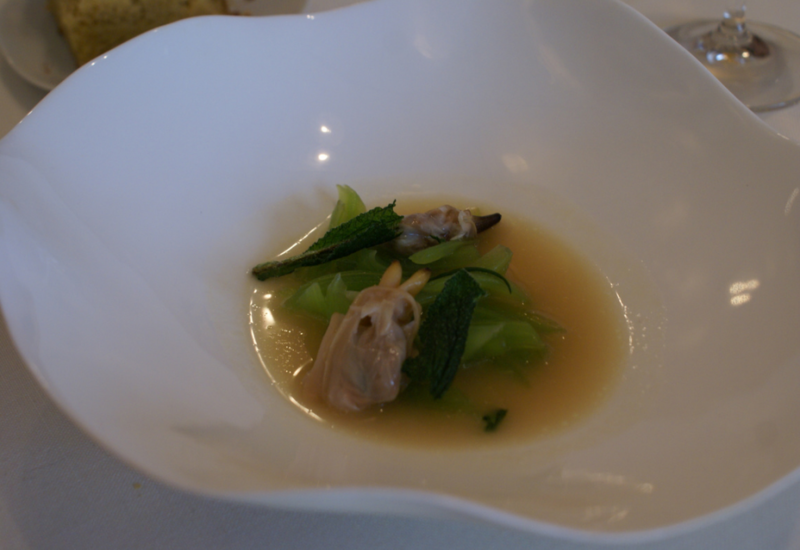 I’m not shy to admit it was my first meal at a Michelin restaurant. We have none in South Africa. Now that I’ve experienced the attention to detail that this accolade requires, I understand why. I snapped this photo in the service area and my expectations were instantly a-tingle. The glove did it for me. Nerua’s philosophy can be summed up as clean, delicate, light, balanced and fresh. Both in decor and food. The delicate simplicity of the dishes belie an intense and rigorous design process, with a dedicated space where five chefs focus solely on innovating and perfecting. Appetizers were served at a counter with a view of the kitchen. And the best beer I’ve ever tasted. 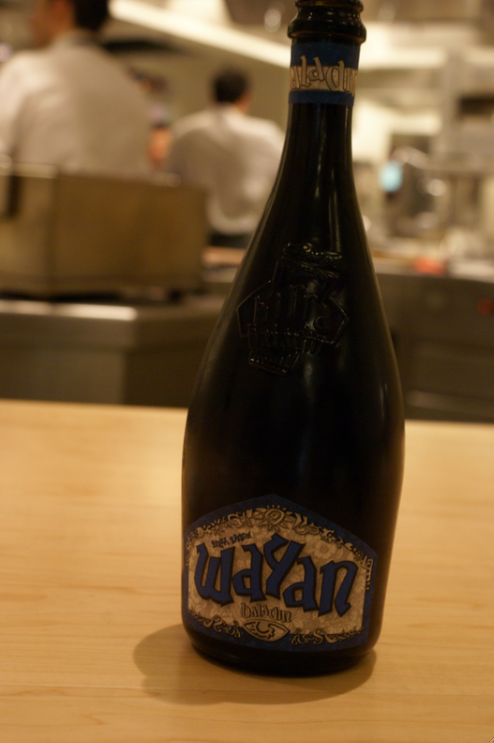 I love craft beer and Il Baladin Wayan from Piozzo in the heart of Piemonte’s wine country was a taste revelation. Creator Teo Musso, son of an Italian wine-making family, decided to go with the grain and focus his blending skills on beer. An apprenticeship with Belgian brew masters followed. Wayan is a multigrain organically brewed beer with the flavour complexity, balance and vital freshness of an award-winning wine. We loved it so much that we chose to enjoy our first few courses – normally paired with white wines – with this brew. We moved to the dining room which is completely unadorned so as not to detract from the main act: the food. 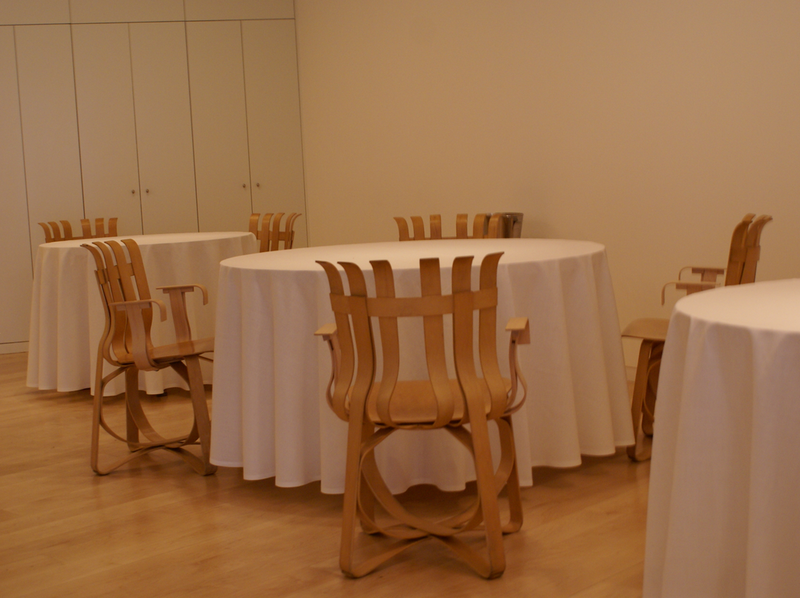 Most importantly, the chairs are perfectly comfortable. So many establishments get this wrong. And as far as I’m concerned it’s a near inexcusable misappropriation of priorities. But before I morph into Miss Rottenmeier, let’s move on to the good stuff…. 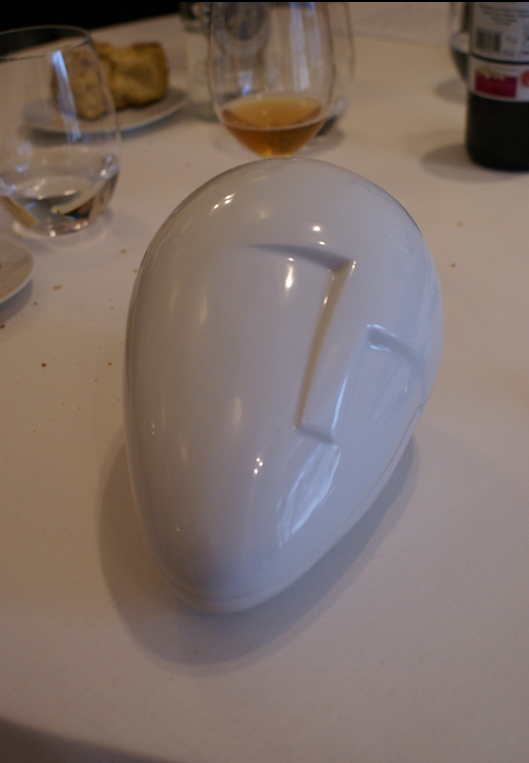 The team under the direction of head chef Josean Alija served an 11 course product-driven tasting menu. 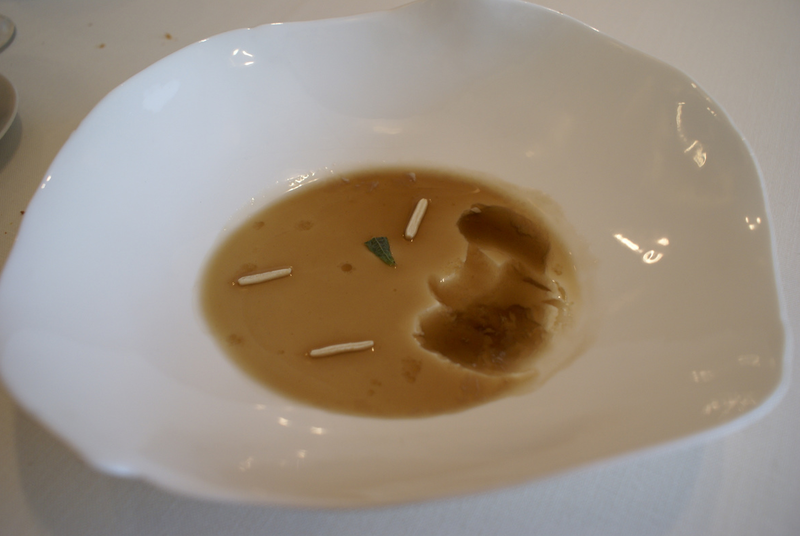 First up, 30 month-matured Parmesan curd with truffle tears, mini bread sticks and shiso. After six weeks in Spain my Spanish is…. 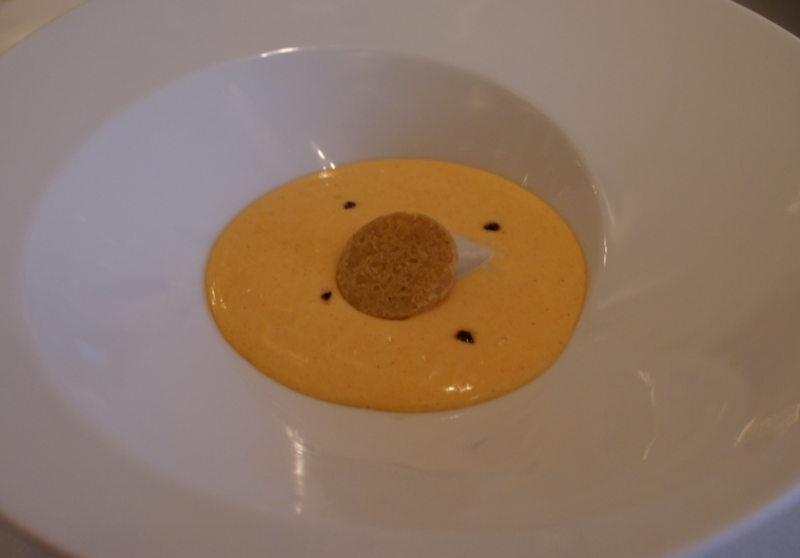 ﻿pequeño, almost nada, so I didn’t quite understand that it was a curd until I tried it. In spite of the Parmesan being mature, the flavours were subtle and beautifully balanced. 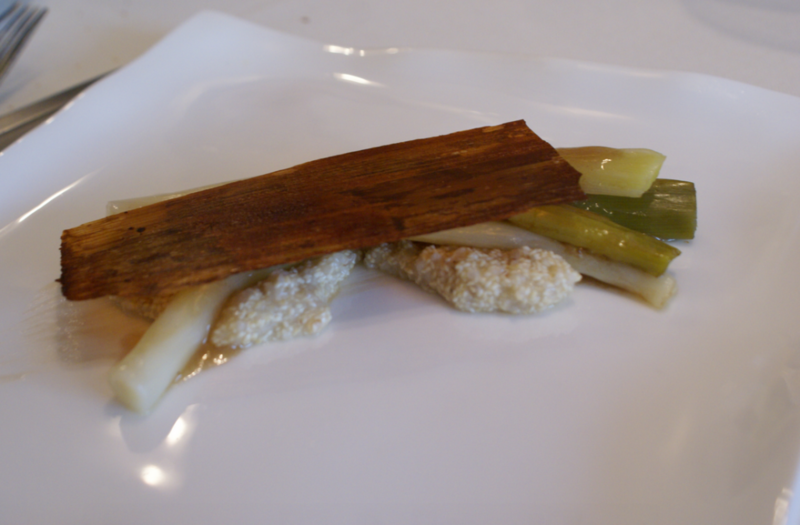 Next up was leeks on egg rice with a sheaf of dried Iberian pork juice. A very clean dish with low intensity flavours but not as profoundly so as its parmesan predecessor. To create a symphony, not every note should ring out. And this dish was more of a pause than an accent. If I hadn’t know the sheaf was dried pork juice I would have guessed it was a lick of Bovril. Meaty and salty. 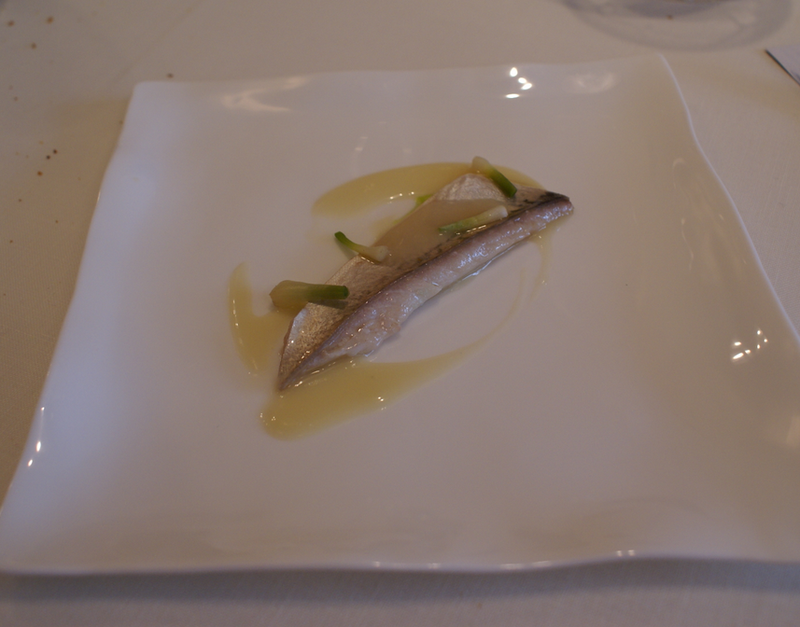 Nerua’s cuisine is ‘rooted in Basque culture but open to the world’ and as demonstrated by the following, also capable of tongue in cheek trickery. 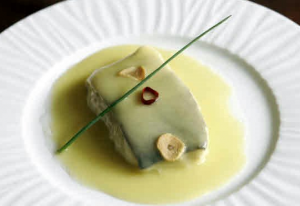 Bilbao is famous for its salted cod or bacalao, prepared al pil pil. A classic consisting of four ingredients: cod, olive oil, garlic and green peppers and the ‘pil pil’ refers to the twisting motion of the pan to emulsify the oil and cod proteins. A humble white onion with a cod skin coat and a puddle of green pepper sauce passes itself off as that classic of Basque cooking… bacalao al pil pil. Very clever indeed. 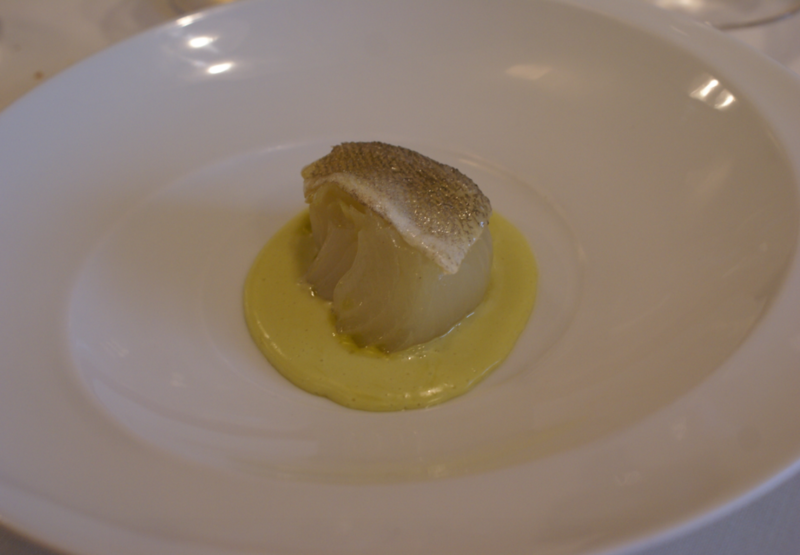 Onion layers masquerading as flaky cod. The señor was extremely impressed with this dish. And he has serious culinary chops so I acquiesce to his superior knowledge… but, dear friends, an onion is an onion and soft fish skin does not rank high on the list of things I love to eat. So once the novelty of the concept wore off, I let most of the onion pass me by. I include a photo (poached from the net) of the real deal. 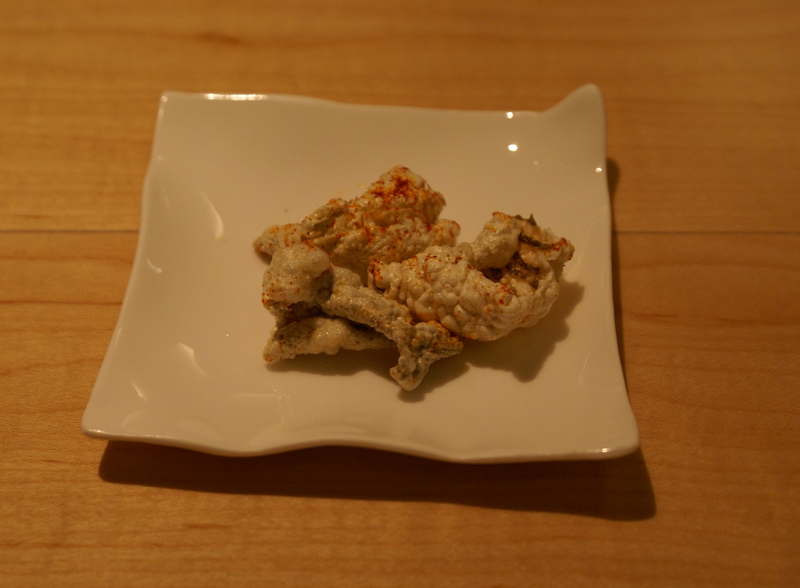 According to Google Translate our next dish consisted of ‘grilled hedgehog-bottom algae’. I’m ever so glad Google is wrong. We had sea urchins. In a theatrical dish. Where did you say you studied drama again? The variety of seafood in Spain, compared to what I’m used to in South Africa, is quite staggering. I hope they leave some in the oceans for the 50’s. Like the 2050’s. Sea urchins have a slightly funky aftertaste that does not appeal to me but more than that, I struggle with the texture. Soft. Slimy when it’s raw and spongy when it’s cooked. It looks like a little tongue, complete with mini buds. The dish was perfectly executed but I am incapable of ‘letting go’ and enjoying urchin. We’d finally progressed from the delicious Wayan beer to a vino tinto and with a two-sips-to-one-urchin ratio I made it through most of the dish. 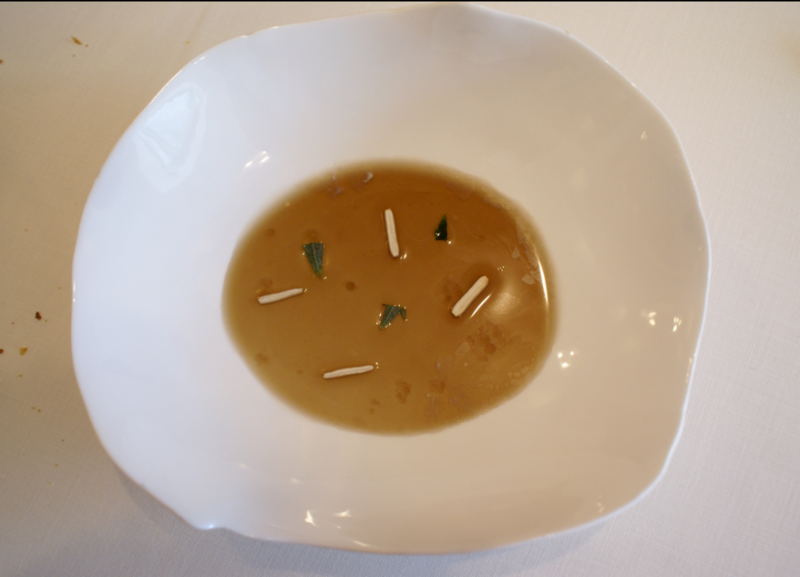 The little crab balls with slivers of sweet potato, white bean broth and sea lettuce was a favourite at the table. 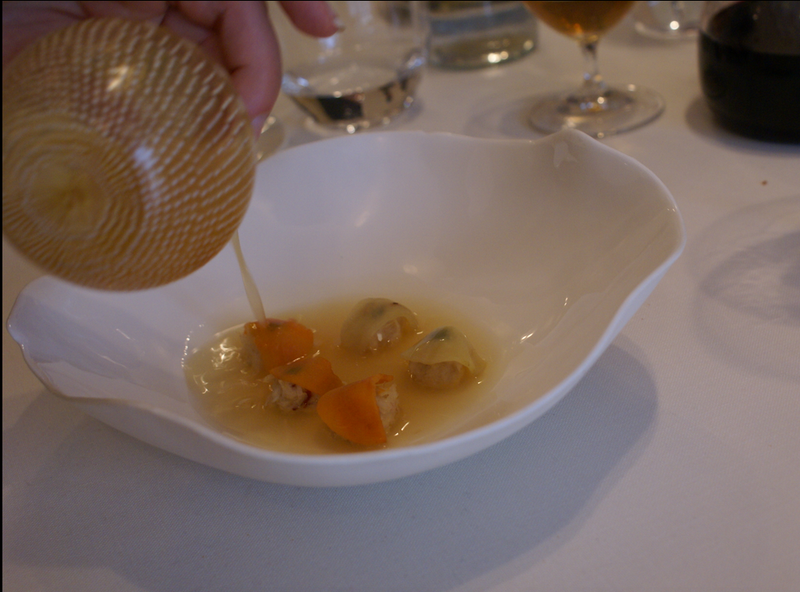 The natural sweetness of the crab was complemented by the sweet potato and the subtle earthy broth. Most delicious. Finally it was Iberian pork time! 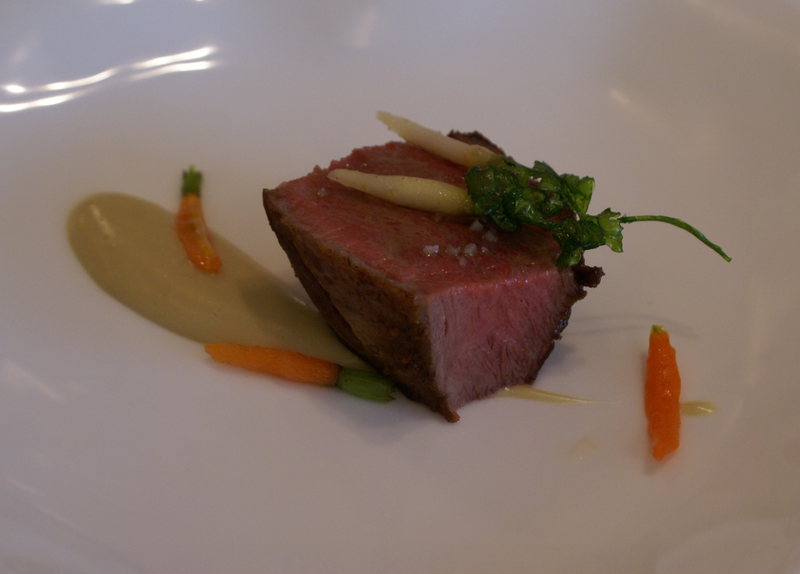 With the tiniest of carrots and an artichoke emulsion. Cooked to perfection. They managed to crisp up the sides whilst leaving the meat juicy. Great taste, although the dish was served a tad cold. 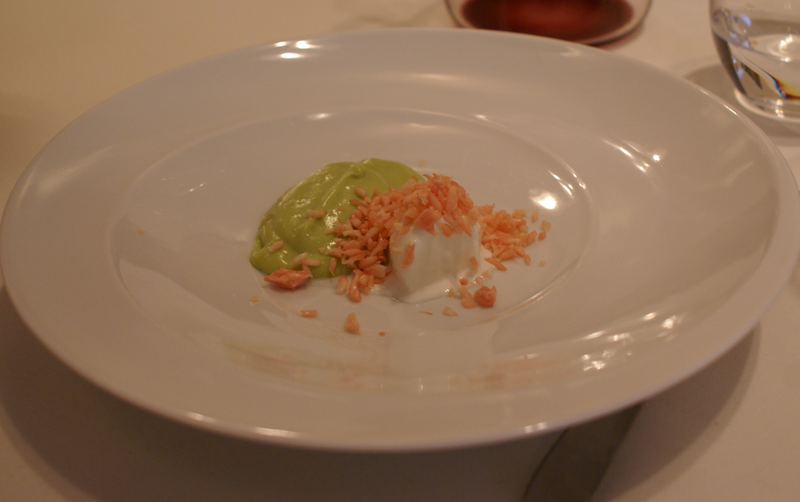 The first dessert course consisted of avocado, coconut ice cream and grapefruit tears. Very interesting flavours and textures. Creamy, almost not sweet avocado mousse with coconut ice cream and crunchy tart and salty grapefruit ‘tears’ that popped and vaporised on the tongue. Definitely one of those dishes where your eyes widen as you try to discern flavour components, but not uncomfortably so. I’m not a huge fan of dessert but the next dish was my favourite of the entire menu. I like pumpkin and I love bergamot and beer so this combo absolutely rocked. Why do I digress? 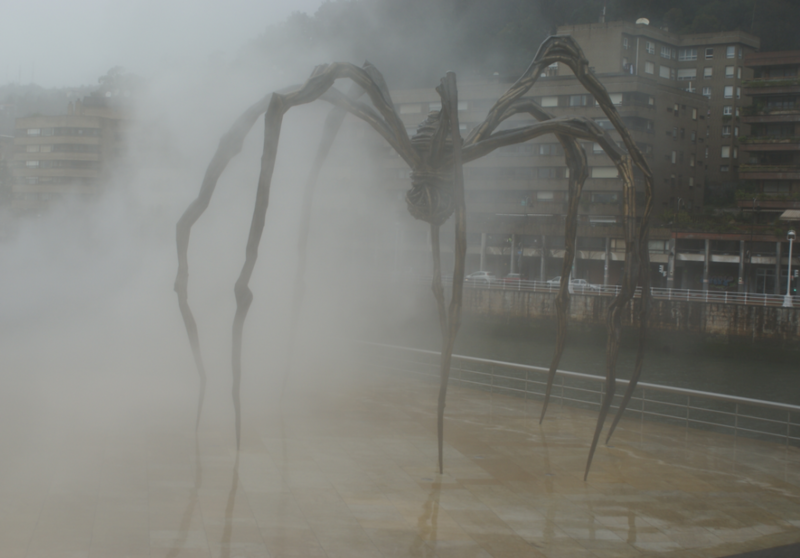 Because the point is, Nerua is part of the Guggenheim museum. And what a special place that is. Surrounded by some of the best art ever, the Nerua team goes all out to create a multi-dimensional sensory memory. It’s not just the food. There’s the individually wrapped toothbrushes in the bathroom (I was too shy to take my camera to the loo) the service team’s gorgeous three-piece suits in thick weave, the gloves, the heated cutlery and napkins… the attention to detail that makes that little star twinkle so brightly. And that’s why Nerua in all probability won’t remain a lone star establishment for long. 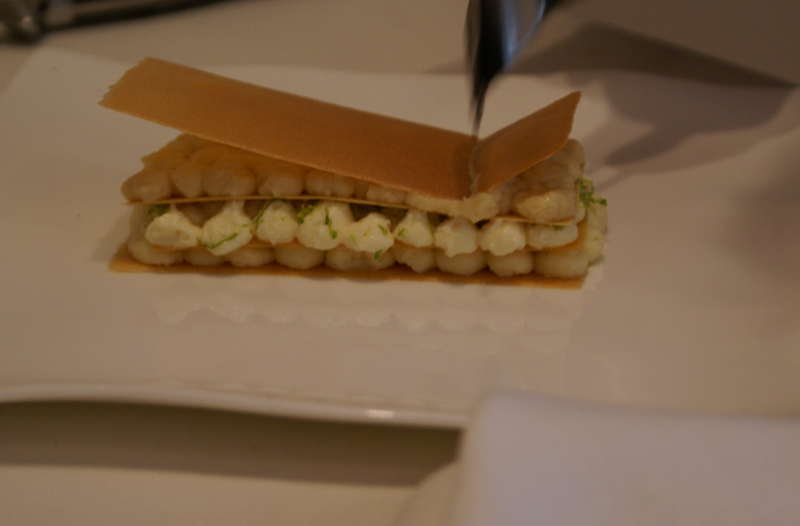 Potato, apple and lime piped and layered with wafers. 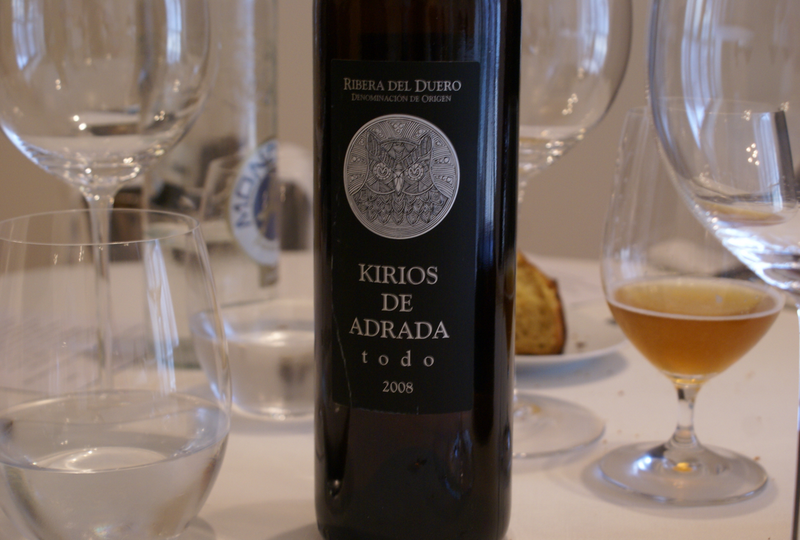 Interesting as you can clearly taste the potato, tempered with apple and with lime to add zing. 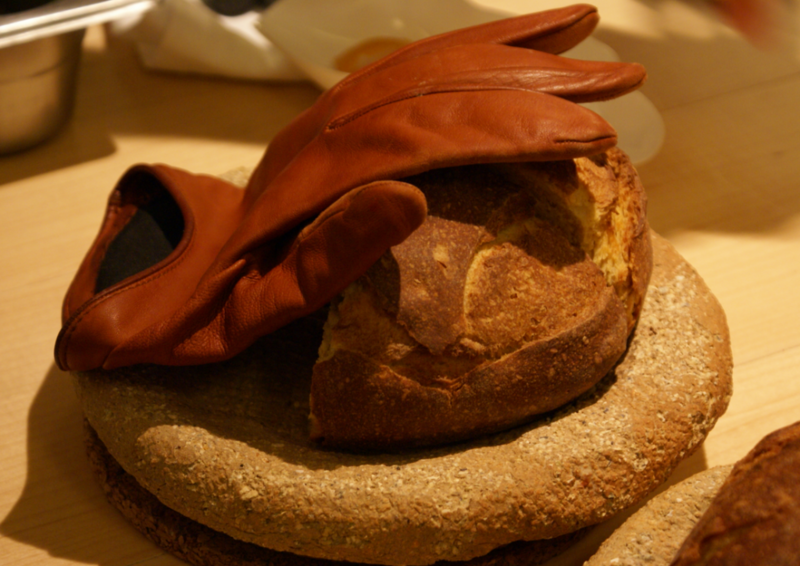 The quirky end to an 11-course journey into the essence of ingredients. I’ve used the word ‘delicate’ too many times already and I can’t quite bring myself to construct a sentence with ‘sensitive exploration’ but, I think you get the picture? When we finished the museum had closed. Pity, but I wouldn’t change anything about our day in Bilbao. And as far as I’m concerned, food of this caliber is art. Gracias señor for my first taste of the North. I hope it’s not my last. I do need to actually go inside the museum… I leave you with another piece of exterior art. Puppy, the 12.4 meter topiary dog by Jeff Koons. Do you see him there? 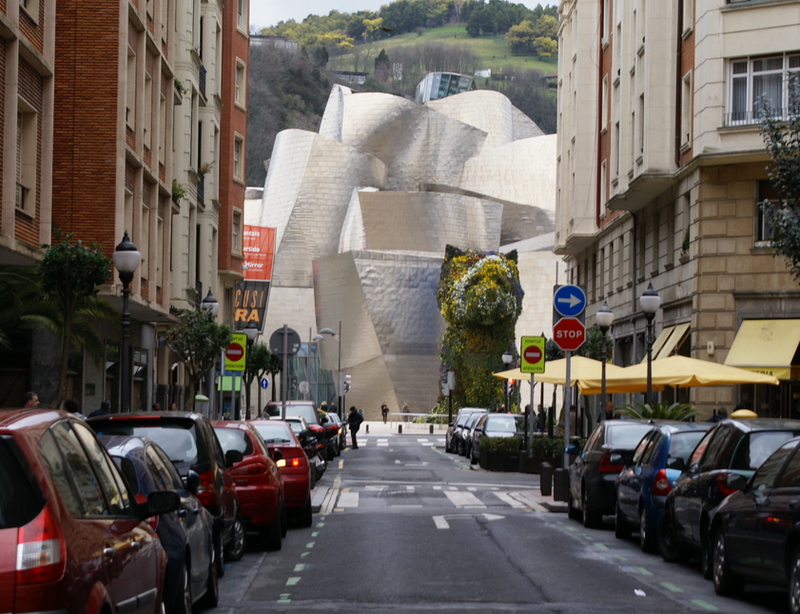 At the end of the road, guarding the Guggenheim with the green hills of Bilbao in the background? For more info on Nerua or the Guggenheim click on the names to visit their respective websites. As always, click on images to enlarge. § 4 Responses to Twinkle twinkle Michelin star"
Good Post B! It puts everything into perspective! Service and food on an entirely different level! Mouth-watering! Thanks Guy. 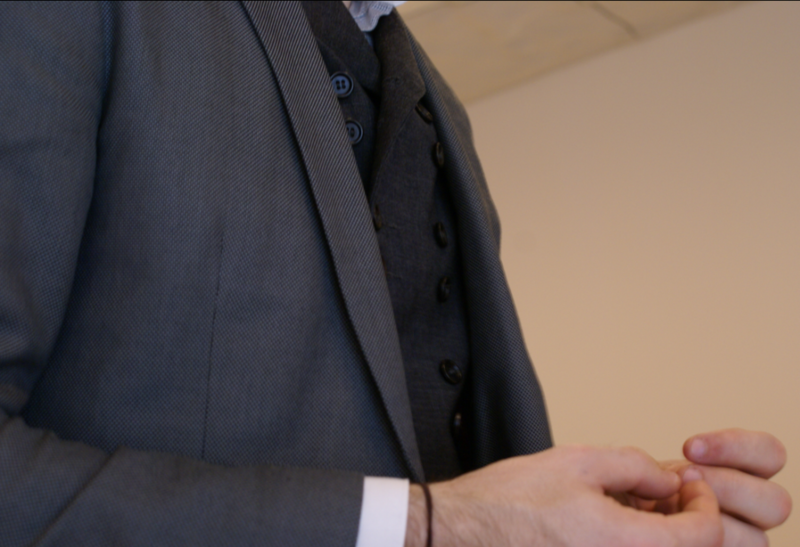 I especially loved the warm cutlery and toothbrushes in the bathroom… nice touches throughout. Hi Kim, so nice to hear from you. And that you could indulge in vicarious lip-smacking induced by ‘thoughtful descriptions’…we’re heading North again this week so hopefully I can soon provide more triggers to your good food memories from Spain! You are currently reading Twinkle twinkle Michelin star at Kitchen Vixen.